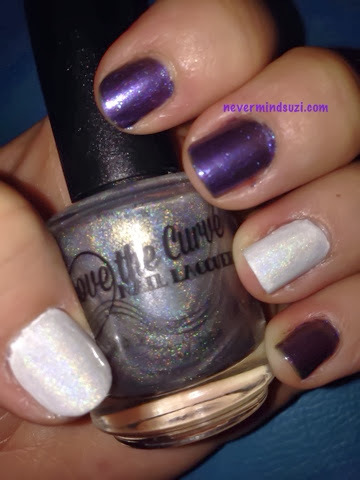 This mani started out as a bit of an experiment after a friend made a comment about a white holo. 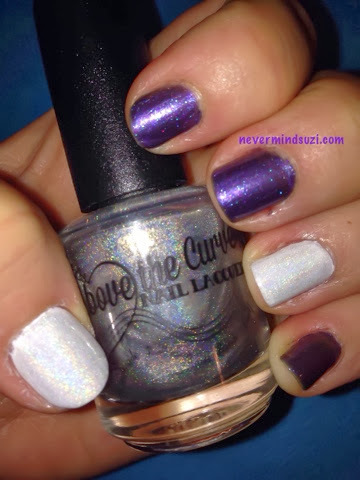 I popped on 2 coats of Sinful Colors - Snow Me White and topped it with 2 coats of Above the Curve - Every Day is a Holo-day! 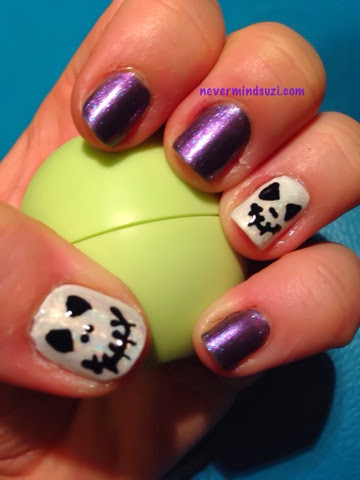 Even with the holo the white looked a bit stark to me so I decided to add the Pumpkin King's handsome face. Now this is where Dark Passenger comes in, I thought it was the perfect Halloween colour to compliment such a suave fellow. Dark Passenger is an dark purple with a lovely blue shimmer flowing through it. 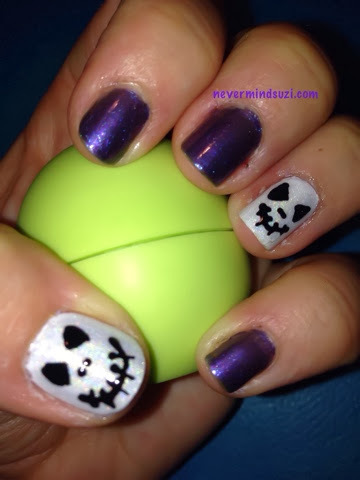 This combo is perfect for Halloween!